Presumptive President Rodrigo Duterte revealed that he apologized to Canadian Prime Minister Justin Trudeau over the beheading of the latter's compatriot at the hands of Abu Sayyaf members last month. The Davao strongman displayed his humbled disposition after he received a call from the world leader on Thursday afternoon, GMA News reported. "Please accept my apology for the incident that happened. We will try our very best and see to it that it will never happen again. And rest assured that when the time comes we will be able to apprehend the criminals and exact justice," said Duterte. 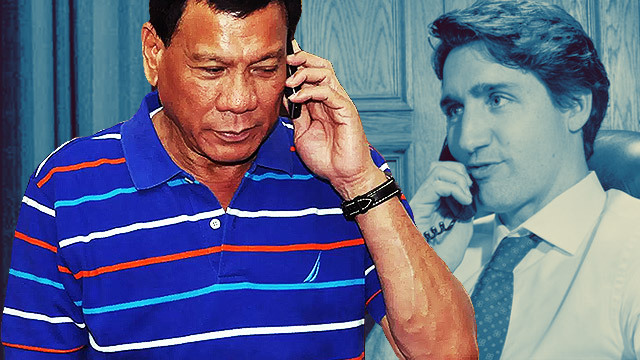 In their nine-minute talk, Digong said Trudeau initially congratulated him before the the two of them moved on to other matters, including Philippine-Canadian ties and human rights. "I said that we are partners. May we remain partners for all time," added our country's next head of state. 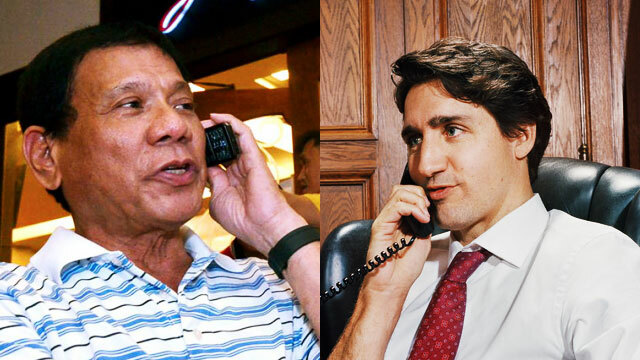 Canada's Prime Minister was the second world leader who contacted Duterte to congratulate him for winning the presidency. Last week, Duterte had to interrupt an interview after United States President Barack Obama called him to extend his regards.